A substitute teacher was removed from Fiske Elementary School Tuesday for teaching Chief Keef's arrest record in music class. WOODLAWN — Parents at Fiske Elementary School are “pissed” after 6th grade students were quizzed on who shot Chief Keef. According to parents, students were asked by a substitute teacher to memorize details of the rapper’s arrest record and violent past for a music class quiz at Fiske, 6020 S. Langley Ave. The Chicago Sun-Times' Mary Mitchell first reported the questionable quizzes. 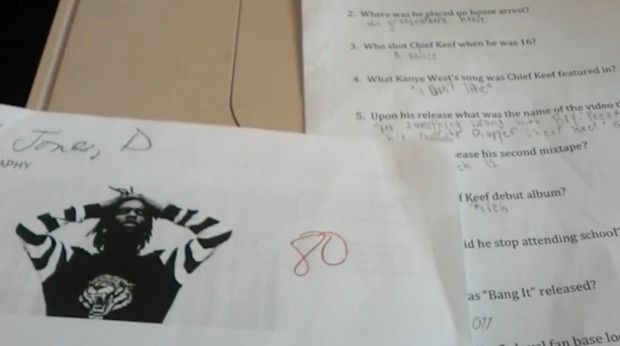 From materials provided by Sanders, the lesson asked students to compare the biographies of different musicians, but the quiz questions on Chief Keef, also known as Keith Cozart, focus on the rapper being shot and placed under house arrest. It’s unclear where the lesson plan came from and whether students or the substitute teacher selected Keef. Sanders said her son told her the teacher assigned the biographies. Other lessons included biographies on Chris Brown, the singer who was found guilty in 2009 of assaulting his then girlfriend, the singer Rhianna. Other musicians on the assignment list include the rapper Fetty Wap and Nicki Minaj. "He said, 'Mama, the girls are squeezing their cheeks together and twerking in class,'" Sanders said. The substitute teacher was removed from Fiske on Tuesday according to Chicago Public Schools, but it appears the curriculum went on for several months before catching the eye of administrators. 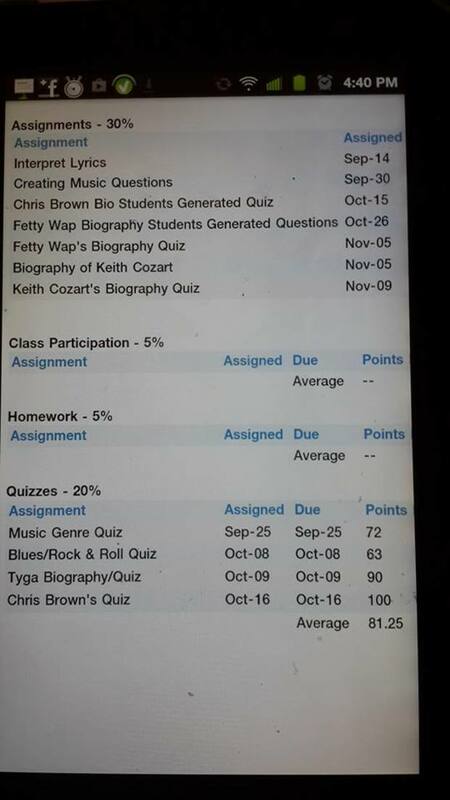 The assignment list provided by Sanders shows the rapper-related assignments started on Oct. 15 with a Chris Brown quiz and ended Nov. 9 with the Chief Keef quiz of student generated questions. Fiske Principal Cynthia Miller was not immediately available to comment. CPS declined to identify the substitute teacher. The principal is reaching out to parents concerned about the lesson, according to CPS. 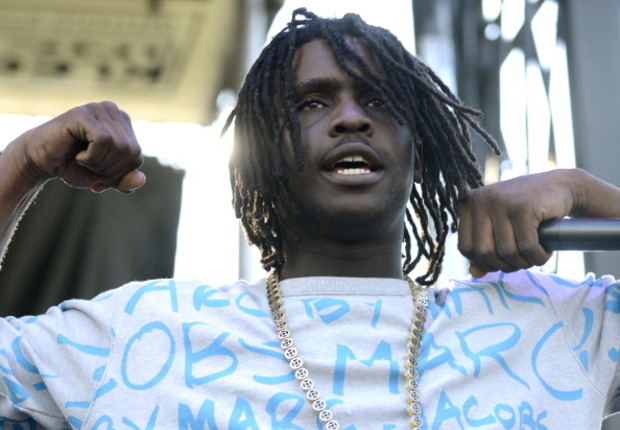 QUIZ: Can you pass a sixth grade Chief Keef quiz?